← The mums are in! 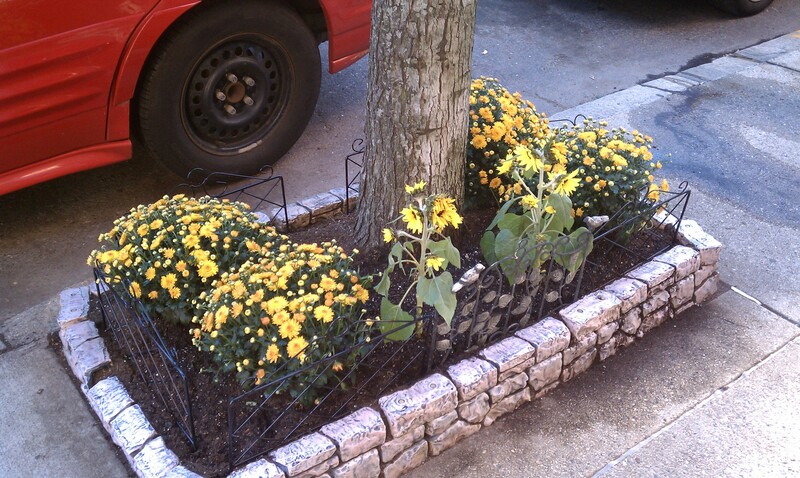 So, I plant four, hardy, yellow chrysanthemums around the maple tree in my front garden. Then I put in two, healthy-looking sunflowers – center stage – to give the garden a bit of pop. See first photo below… Over the next three days, even with careful watering, the little sunflower heads were drooping hard and fading fast. Bummer. 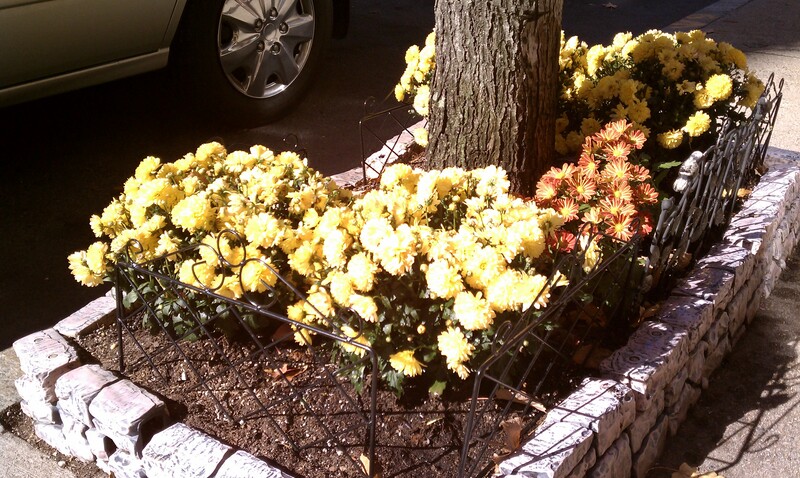 Had to pull them out and replant with small, rust-colored mums. See second photo… I must admit it’s not as varied a garden as I’d like but it’s seasonally colorful and still pleasant to look at. Next year I vow to go beyond the mum!